MadisonWineScene (MWS) recently interviewed Richard Serrano, Wine Manager of spirits and domestic and Austrian wines with L’eft Bank Wine Company, 4918 Triangle Street, McFarland, WI about the wine business. His bio on the L’eft Bank site (http://leftbankwine.com/FUN.aspx) states: Raised on beer and tequila since the age of 12, Richard had his first sip of White Zin at the age of 26, and declared it righteous. A bottle of cheap Chilean Merlot followed a week later, and there was no turning back. After a brief flirtation with high-alcohol fruit-bombs, two years in wine retail tempered and matured his palette. He now spends his time in the Sisyphusian pursuit of finding Domestic wines that emphasize balance, purity, and terroir. Known as the company hothead, he spends his off time listening to acoustic blues, reading Decanter, and trying to find old bottles of Roussanne on closeout. Previous posts discussed selection of wines and wine producers. This post discusses Austrian wines and changes in the wine industry. Richard: That’s a darned good question. For me, Austria is a labor of love. I drink more Austrian wine at home than anything else, mainly because I love dry, crisp, acidic white wines and that’s what Austria does best. I don’t know of a country that does it better. I have an accelerated palate with regards to how it has developed over the years, because I taste so much wine. If I was still drinking as a consumer, I might still be in love with Cabernet. The more wines I am exposed to, I just end up with dry, crisp, acidic white wines and I love the reds because of their freshness and the acidity. They are wonderful with food. It just becomes cliché for certain wine geeks to say that wine needs to go with food, and I don’t always say that because I am an American, and I will also cocktail with wine. But when I cocktail with wine I also want high-acid wine. For me, Austria is where it’s at -- and the ageability of those white wines is unmet. The Rieslings, you can lay them in your cellar and they will dance on a Napa Valley Cab’s grave. They will go the distance, but aging wine is a difficult game and I don’t recommend it for most people. 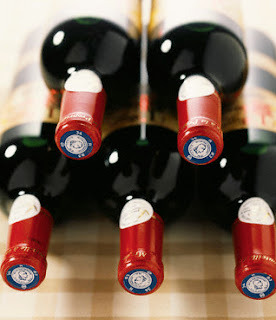 MWS: Is Austrian wine a difficult sell-through to the final consumer as well as to retailers? What L’eft Bank has done with Austria is very much a labor of love. We are known as the place to go to for Austrian wines. Most distributors will have one low-end Grüner Veltliner and that’s it. We carry not only various price points, I am crazy enough to carry different regions. So if you want Grüner Veltliners from the Kamptal region I have got them, if you want Grüner Veltliner from the Wachau region I have got them. The wines really show off their terroir and those different growing regions will certainly reflect in the wine. They are wines we are going to bring in because we believe in them. They may not make us tons of money and it will take longer to sell the inventory since it is harder to find those retailers and restaurants that will get into it as well, and sell them. But it can be done. Ten years ago no one knew what Grüner Veltliner was and were kind of afraid of it. Five years ago people were still afraid of it. Nowadays every independent larger or higher-end retailer has a Grüner Veltliner section. More and more restaurants have them. Places like L’Etoile have been championing Grüner for some time. Now you see Grüner Veltliner stacked in grocery stores and people just grab it off the stack without thinking too much of it. If they are trying those then they start to delve into more expensive Grüners if they want to treat themselves. MWS: You have been in the wine business a while. What changes have you seen? Richard: I have seen an explosion in wine awareness and consumption and that has been a good thing. Along with that there have been lots of people looking for business opportunities and as I said earlier that’s led to a flooding of labels, a flooding of different wineries, multiple SKUs, and a bit of a confusion in the marketplace for the consumer. Some people have taken shortcuts and you see a lot of bad wine out there. You are seeing more wineries start to fail and that’s bound to happen. I have seen younger people – the Millennials – being more open to tasting anything, so when you hear of the growth of wines like Albarino from Spain, or Grüner Veltliner from Austria – a lot of that is being driven not by baby-boomers but by Gen-X and younger. Those drinkers will try anything. Baby-boomers are kind of stuck in a Cab/Chard/Pinot world and if you try and introduce something to them, their response is often “I have never heard of that” and you see that on their face, and that means since they have never heard of it, they are never going to try it. Younger people are saying, “You have a Mencia from the Bierzo region of Spain, let’s give it a whirl. You have got Txakoli from the Basque region, let’s try it.” That’s been wonderful to see – a more diverse American public out there – in what they are drinking at least. MWS: Favorite wines, besides Austrian? Richard: I am a big Riesling guy. I don’t brand-manage Germany but I love Germany. Anywhere there is good Riesling being grown, I am on it. I probably carry more domestic Riesling than I should, but I keep finding better and better domestic Riesling. Ten years ago it was hard to find good stuff, mainly because Riesling is like Pinot. It really reflects where it is grown. You need good hillside land to grow good Riesling and in the past nobody would plant Riesling on a hillside in California because you can make so much more money if you plant Cabernet. Also, if you know how to read a German label, it actually provides you with a ton of pertinent information. I love the label for that, but at the same time I bemoan the fact that it’s really hard to get this stuff across to the American public. Richard: Before the Sideways effect [MWS: the 2004 movie Sideways elevated the fortunes of Pinot Noir while sinking those of Merlot] there were those of us in the industry who were always championing Pinot Noir, and it was a hard sell. I remember the days when it was really hard to sell Pinot Noir, and I couldn’t get people, especially men, to stop drinking Cabernet and start drinking Pinot Noir. I would see them drinking Cabernet with fish and I would say to them that I know you wont drink white, but at least try Pinot – the grace and elegance of Pinot instead of the white – so that was a tough one. I knew a lot of other young buyers at the time in retail, and in restaurants, and we were all pushing Pinot Noir, and it was slowly growing and then the Sideways effect came about and Pinot just took off, and I saw people drinking Pinots that I would never have expected. That was a good thing. But it also led to a sea of cheap, bad Pinot that is out there right now. But that’s ok. People need affordable Pinot. When I got into the industry Viognier was poised to become the next Chardonnay and it became a huge failure. That kind of surprised me at the time. I would not have expected Malbec to explode the way it has but when you break it down it is not a big surprise. Malbec was at the right place at the right time when the recession hit. There was a ton of great, cheap Malbec. You can find so many wonderful Malbecs between $9 and $20. And it gives the American palate what they want – it is a pretty big, rich style of red wine, it’s got some chunkiness, it’s got some chocolaty notes. It’s in that category of Bordeaux varieties. And it is easy to say. It is not difficult for an American to say the word Malbec. A previous post discussed how Richard chooses wines. This post discusses selection of wine producers. MWS: How do you find wine producers for your portfolio? Richard: Every time I go to California, or Oregon, or Washington (or Austria for that matter) I am looking for new things. A lot of times it is to shore up relationships but I am always on the lookout. I might see something in a store that attracts me, or I might be talking to a server in a wine bar. That’s how I was turned on to one wine, in particular, out of Washington state – I was in a wine bar and I started talking about Riesling with somebody and he said that you have to try this dry Riesling from this tiny little producer. I am constantly reading all the wine publications and I am online a lot. I know of producers that have not been in this state for some time that I have always had my eye on, and so I might finally visit them or do a tasting of few of their wines and then approach them. I also might steal wineries from other distributors. We have an exclusive thing in Wisconsin so, for instance, L’eft Bank represents Ridge out of Santa Cruz. No one else can sell Ridge in Wisconsin. Another distributor could steal Ridge from me. I have stolen suppliers from other distributors. It is difficult. You have got to make a pitch, maybe sales are weak with their current distributor and you have to show them why they should come to you. And then with the recession, I am inundated all the time with people who just call me and email me out of the blue, maybe they have heard of L’eft Bank and our reputation or they have just done a Google search and they are looking for distribution in Wisconsin. MWS: When you look at wineries, do you want a certain minimum level of production? Richard: All the different sized wineries bring something unique to the table. For instance, L’eft Bank represents. Bogle is a very large, and high-quality, producer; they make a million cases a year. Bogle is key to our business, because Bogle makes $9.99 wine and at the end of the day, that’s what people drink the most of. That keeps the lights on. That’s a very important brand to us. On the flip side, that Washington producer that I was referencing in regards to his Riesling, that’s a producer that nothing he makes is more than 100 cases of anything, and he was only in Washington and Oregon, and when I originally spoke to him he didn’t want any extra distribution in another state. Certainly Wisconsin is not one that someone like that looks to immediately. But I stayed on his case and when the economy was going south he said I would like to have any avenues that are available for me for sale and you are the guy who is calling me and wants my wine so sure – so now we represent him in Wisconsin. He is still only in 3 states, so very tiny production but very cool wine, and very unique. He is pushing the envelope, for instance he makes a dry style Riesling that is really just piercing acid on the tongue, and it is not a wine for everybody so if he made buckets of wine I wouldn’t have hope for a lot of it because it is for a specific type of consumer. So the fact that he is small is beneficial. It is very easy to make too much wine, and then end up with old juice collecting dust. He does a dry style Riesling, he does a Semillon/Sauvignon Blanc blend, and then he makes some wonderful Syrah. Syrah is tough to sell so it’s a good thing that he is very small so I can just show it. There are only so many retailers and restaurants that hand-sell products, meaning that they will actually engage with the consumer and tell them why this new wine they found is special to them. A lot of other times it is just what the consumer grabs off the shelf. MWS: How much of your domestic wine portfolio is from California? Richard: About 75% would be from California. The next biggest chunk would be Oregon, followed by Washington. Washington is coming on strong, but Oregon has been established for a little bit longer and Pinot Noir being what it is, I have a lot more from Oregon. MWS: Are Oregon wines too expensive? You can find, especially now, more and more Oregon Pinot Noirs, which are even selling for below $15, which was not the case for a long time. I just brought in a new Oregon Pinot that you can see on the shelf for $13.99. But yes -- there are couple of reasons for why Oregon wines are more expensive. There is much less land planted with grapes in Oregon, it’s tiny. Also, unlike California where you can grow a sea of wine grapes on very low, flat land, in Oregon they have problems with ripeness, and you really can’t start growing wine grapes until you get to about 250 feet above sea level. And a lot of Oregonians will say that from about 300 feet to about 800 feet is the sweet spot so right away you are planting on tougher land to farm. In contrast the Central valley of California is a vast expanse of flat vineyard land, very easily farmed with heavy machinery, and it is going to produce tons of grapes. It is much easier to make a cheaper wine there as opposed to Oregon. People have been overplanting in Oregon in the last few years, due to the success of Pinot Noir, and people have planted in poorer areas, and you will see cheaper wines, and maybe not as good. But in the end if you want a drinkable $9.99 Pinot Noir, go to California. It is just not what Oregon is going to be able to do. MWS: When you are making your decisions about which wines to carry in your portfolio do you think about whether it will be sold to a retailer or a restaurant? Richard: Yeah. I am thinking about what types of retailers and what types of restaurateurs are going to be interested in that wine. Some wineries say to me I am happy if you sell to whichever. Some wineries come in and say I really need you to sell 300 cases and then I have got to think do I have enough avenues for that. Some wineries will have specific demands that they want to see 80% restaurants, 20% retail. Since the recession, less and less people say that. I am always thinking of where will this wine work? So thinking about that lower-end Oregon Pinot that I just brought in, that’s a perfectly priced Oregon Pinot for a glass pour. And there are only so many Oregon glass-pourable Pinots. So right away I thought this will be very easy to hit a lot of restaurants and get a lot of glass-pour action. Boom. The retailer will want it because there isn’t much from Oregon at that price. On the other hand, coming to Austria, where most of the sales are going to be in white wine, Grüner Veltliner and dry Riesling specifically, but I love Austrian red wine coming from native Austrian grape varieties. So if I bring in a Blaufränkisch, and I was just out sampling a Heinrich Blaufränkisch the other day. This is a wine that will retail for $29.99. No restaurant is going to pour it because of the price. And if a restaurant puts a Heinrich Blaufränkisch on their bottle list it is never going to move. I need very geeky and active retailers who are going to taste it, love it, and then when that person walks in the door who usually buys a $30 Cabernet, they can say, hey check this out, I have got a Blaufränkisch from Austria that you should really try. So that’s a wine, if I get any restaurant action it will be lucky. MWS: Do ratings affect any of your decisions? There are some wineries that I have gone after to sell, because one they make great wine, and I also know in the back of my head that they get great press. I know that will help the sell-through, but it is not the defining factor for me. I have been approached by wineries that have a 90+ from Spectator for instance, and it is a palate that I usually disagree with in Pinot Noir in particular. I remember one Pinot Noir producer who had multiple Pinot Noirs, they were all scoring between 90 and 94 points, but to me they just tasted like they were doctored up with Syrah, they didn’t have what I think Pinot Noir should be, it didn’t have purity of fruit, they were over the top, and I said no. And the guy was very insulted and put off and the main thing that upset him was that he had good press. Now I use press to sell-through wine, I don’t try to use it to sell wine, and what I mean by that is, if I take a wine to a retailer, I want that retailer to like the wine itself, and the story and the typicity of it, and buy it for that matter alone. Some buyers only care about points and then I will be more than happy to say, well, yes it did happen to get 92 points from Spectator. And then we put the scores on the shelf to help with the sell-through. I am always uncomfortable about it, I don’t like the numbering system, I wish it would go away, but I am afraid it is here to stay. MWS: How long have you been with L’eft Bank? MWS: How many domestic and Austrian wines in L’eft Bank’s portfolio? Richard: As far as wineries go, we represent, give or take, about 75 domestic wineries. Within those wineries there are multiple SKUs. Austria: I am carrying wines from about 15 different producers from Austria. For L’eft Bank, total, with everything we represent we have about 2500 different SKUs in inventory. MWS: How do you select wines? What do you look for? How do you put your wine portfolio together? Richard: You have got to strike a balance. I was a retail buyer before (with Sendik’s in Whitefish Bay, Wisconsin) and so that gave me buying experience. One is region – (not all distributors work this way – some of the big corporate houses just carry whatever their liquor companies happen to own*) but I try to do it from a terroir basis. So when I look at California, for instance, obviously Napa and Sonoma are major areas, so I want to have multiple producers representing regions within those areas. For instance in Napa, it is important to me to have both mountain growers – people like Smith-Madrone from Spring Mountain making wine with mountain-grown fruit along with people in key bench land areas like the area of Stag’s Leap represented by Shafer and Regusci. I want to cover a region completely with both terroir and stylistic differences within that. And then coming down the state, representing areas such as Paso Robles properly and Santa Lucia highlands and Santa Cruz mountains and so I want to have a broad representation of all those areas of the state. At the same time I also have to look at price points. There are the lower-end wines, the bulk type products -- those are the ones that keep the lights on. They allow us to play with the more terroir-driven wines. So I also need to make sure that I have all the price points covered. Do I have domestic Cab, Chard, Merlot, Zin represented at $7.99 on the shelf and at $8.99 and at $9.99 and up to my $14.99 categories. So all of that comes into play. MWS: How many Napa Cabs in your portfolio right now? Richard: Maybe 30-35 in inventory right now. I have access to more but I can’t carry them all. For instance I have got some producers that make other single vineyard Cabernets and I don’t bring in everything. We have one producer that does five different Napa Cabernets at different price points from different areas and I carry three of those. MWS: Let’s say I am an aspiring winemaker in Napa and this is going to be your 36th Cab. What would lead you to add me? Richard: First I would say stay out of the industry. The market is overloaded with labels, the consumer is confused, shelves are bulging with too much product that is not moving out the door. When I got into the industry in 2000, there were I think 3,000 bonded wineries in California and now there are over 6,000 bonded wineries. There is just too much. But if you were an aspiring winemaker a couple of questions I have immediately. One, tell me something about yourself. Do you have experience and are you making the wine? I don’t really get excited by a guy who has millions of dollars and hires the top-paid consultants to make his wine, and he buys fruit on the bulk market, and puts on a fancy label and asks for $100. That’s not a real narrative. If you had a little plot of land, and you were growing your own grapes, and you were making it yourself, then that’s more special to me. Or maybe your family has had a vineyard for a couple of generations and you were always selling grapes, and then you decided to start your own winery – that can also be compelling. It would also depend where you are, where those grapes are going to come from, and what your price point is going to be. And also frankly what is the label going to look like. I have some wineries come to me, where I like the wine, I like the price point, and the label is so hideous that I just know that I am going to run into a brick wall with every buyer I show it to. I have seen labels that are so ugly that even if the wine is good, I know that every time I take it to a buyer they are going to give me a hard time about it. I have a lot of rocks that I push up the hill; I can’t have all rocks that I am pushing up the hill in my portfolio. Some things need to work on their own. Then if it looks compelling to me then the usual next step is that you send me some samples and I try them and that is the real deciding factor. MWS: So when you try these wine samples what are you looking for? Richard: At the end of the day, when I taste a wine, since I have been doing this for a long time, I know what a Napa Cab that is going to retail for $20 should taste like, and if someone is going to send me one for $50 I know what that should taste like. Now that is not to say that they should all taste the same but I know if it is delivering $20 worth of Cabernet. So I am looking to see if what is in the bottle matches the price point. That’s not always the case in California, because land prices are so inflated. Secondly if it is a terroir driven wine then what is important is typicity in region and typicity in grape variety. So for instance, Zinfandel can be made in a million different styles. Stylistically it is all over the board. However, Zinfandel does really show off its terroir in California more than other grapes, more than Cabernet. So for instance a Dry Creek Zin from Sonoma should be balanced and much more elegant than a Zin from Lodi which is going to be more fruit-forward, and more rich and more mouth-filling in the palate. Both styles have their own things to say. If I am looking at two different Zin producers I want them to represent that. If somebody sends me their Dry Creek Zin, and it is really gooey, and over-the-top and tastes like it should be coming from a much hotter region, then that is going to give me pause. At the same time, if I was looking at my portfolio and I see that most of my Zin producers are making a very elegant style, well then I need a Zin that has got more gooey fruit. So there are a lot of factors always coming into play. The next posts will discuss selection of wine producers, Austrian wines, and changes in the wine industry. MadisonWineScene (MWS) recently interviewed Mike Boss, Director of Operations of the Blue Spoon Cafe (http://www.bluespooncafe.com/) 550 Water Street, Prairie du Sac, Wisconsin. MWS: How long has Blue Spoon been offering wine? Mike: I have been here for seven years, and the Blue Spoon has been open for 11. Prior to me coming on, we offered wines by the glass and by the bottle for on-site consumption. Craig Culver, who is the owner of the Blue Spoon, basically picked the wines and the wine list matched Craig’s tastes. His tastes tend to go towards California primarily. The list was small; there was not a lot of depth to it. So shortly after I started in 2004, since I had had some experience in doing wine tastings I started a wine tasting series here. I thought we had an opportunity to increase our guests’ knowledge about wines, increase our place in the market when it came to sales of wines, and increase the perception that the Blue Spoon was a destination for wine. So the wine tasting series helped us do all of that. We also started selling wine retail at that time. As we started expanding the list gradually, we came up with a pricing structure that would allow us to sell wine out the door. It has evolved into more of a wine shop type of program where the majority of our wine sales are going out the door, although a fair amount still goes to the table. One of the things we decided a long time ago was we wanted to sell wines in the restaurant, and I struggle with restaurant wine prices as a consumer because I know what the costs are. So our approach to pricing for the consumer at the table is quite different from anyone else in the greater Madison market. We price all of our wines at retail, so if you look at the prices of the wines on the shelves they should be competitive with the likes of Steve’s for retail sales. If you want to enjoy the same bottle at the table, we only charge a $5 corkage fee. So a bottle of Franciscan Magnificat, we might retail it at $48, and so to enjoy it at the table you are going to get it for $53. If you compare that with what you might get it for at the table at any Madison restaurant, it’s going to be well over $65. So we offer very good pricing for on-premise consumption. MWS: How would you describe the Blue Spoon’s typical wine customer? Mike: Confused -- about what they like, about what they are looking for. I think people who like to buy wine appreciate help in finding wines to purchase because there is a lot of mysticism involved in wine and we can help clear that up a little bit as they are looking for a wine. I do all the wine purchasing and am here to help customers. I have attempted to pass my wine knowledge on to key employees so that they too can help customers. MWS: You carry a wide selection of wines – a Vernaccia from San Gimignano, several labels of Chateauneuf du Pape, White Burgundies including Meursault, Silver Oak, Owen Roe, Jaboulet Hermitage La Chapelle, Poet’s Leap Riesling from Long Shadows, Beaux Frères… along with lesser-known wines. How do you decide which wines to offer? Mike: For any number of reasons. I am trying to get better at my logic for wine purchases. What I have to temper myself against is what does Mike Boss like, compared to what do I think our customers will purchase. I have a couple of different sets of customers when it comes to wine purchases – some that are in that $30 - $60 bottle range and they have a very broad palate, and then the majority of the customers fall in the $20 or less category that we have to market our wines to. How do we end up with Beaux Frères, the Jaboulet, the selections of Chateauneuf du Pape? – I have got even more in the basement! Some of that is due to my travels -- the Chateauneuf du Pape purchases were a direct correlation between my being in Chateauneuf du Pape, and coming home, and falling in love with Chateauneuf du Pape. So to a certain extent I buy based on my knowledge of what a good wine is, and certainly I try to taste as many wines as I can before I purchase. And I do get the ability to taste a lot. When I am in the market for buying I will try 30- 50 different wines a month. I work with 5 – 6 different distributors. I tell them what categories I am looking for – like what can you show me in California Cabernets from ‘07 that are priced less than $30, or Oregon Pinot Noirs in the $15 – 25 range. I learn about wines basically through three ways: word-of-mouth, or through reading, or through a recommendation from a distributor. I do a lot of reading – I am pretty religious about reading Wine Spectator magazine as well as their on-line version. So when I hear about a good wine like Beaux Frères I will often seek it out through my distributor, if I can get it. There are lots and lots of good wines that I simply cannot purchase because a distributor does not carry it. MWS: Not many people know that you carry the types of wines that you do here. Why don’t you advertise that more? Mike: We don’t advertise. We don’t believe in it. We concentrate on word-of-mouth, referrals, in-store marketing, our website, press releases, interviews – things that don’t require us to spend money with a newspaper. 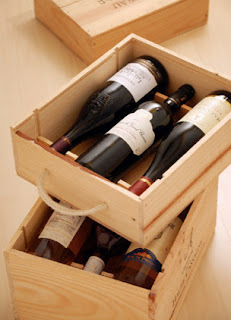 MWS: Are there some wines that you carry consistently that your customers expect to find? Mike: Certainly the Wollersheims – we do sell a lot of them. I am out of stock currently but we have been very successful in selling one of my favorite Napa Valley Cabernets in the value category -- the Villa Mt Eden Grand Reserve – for my money it is every bit as good as a $30 – $40 Cab at $16. Year in and year out they keep producing a good Cabernet. So we have people seeking that out when we have it. I do like to keep things fresh, so if you come in month-to-month you will see different wines. MWS: How many different labels do you have at one time? Mike: We are restricted by size and space, and so right now we have about 150 different labels with between 800 - 900 bottles. We do sell more reds than whites. Are my customers necessarily red wine drinkers? Probably not, but those that like the reds buy more of them. For example we have been doing our monthly wine-tastings for 84 months now and we get anywhere from 25 to 50 people, and many of them have been at all 84. We will taste 10 – 12 wines, it will generally be no more than 3 – 4 whites, and the rest will be reds and that’s what they are looking for. That’s kind of my barometer when it comes to purchasing. MWS: How long does a bottle of wine typically sit on the shelf? Mike: Hopefully not very long. With the Jaboulet La Chapelle Hermitage, if it takes me a year and a half to sell it, it’s ok – I will sell it. I will hand sell it to somebody. I will introduce it to somebody. If I know that somebody is a fan of Southern Rhone wines, I will talk to them about it. About 5 years ago a case of 1964 La Chapelle was sold for $1.4 million – it was a 100-point wine and so I can get a customer into that for $130 a bottle – different vintage of course, but there is a mystique about that particular wine. It just takes one person to buy it. The Sea Smoke is another example – it’s a slow seller but it’s a fun sale for me because it’s such a good wine, those people who buy it usually come back and buy more. The next post will discuss Blue Spoon’s by-the-glass offerings and their wine tastings.